By Nick Howell on 02/19/2014. Today is a pretty special day for NetApp! A lot of work has gone into further consolidation of our platforms with a very big eye on the future. Clustered Data ONTAP is exploding in the industry, with installations up 300% year-over-year, and clearly stated by upper management that it is the future of this company. 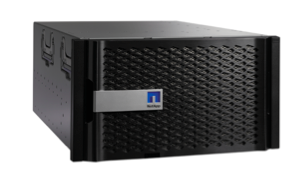 I’m proud to share with you the official launch announcement of the newest lineup of storage arrays from NetApp… the FAS8000! The FAS8000 supports the broadest range of SAN and NAS workloads with a single system optimized for scale-out deployments. The new storage systems can improve performance (up to 2x) and deliver better flash acceleration benefits (up to 3x more flash) than previous FAS platforms. Additional improvements with the FAS8000 include a new, storage I/O–optimized architecture including the Intel® microarchitecture (formerly code-named Sandy Bridge), expanded memory, and improved flash support to deliver superior, low-latency performance for enterprise-class workloads. Organizations can invest in the right long-term platform with the FAS systems and transition their applications confidently to a private, public, or hybrid cloud deployment by leveraging the highly adaptive, patented Data ONTAP operating system and best-in-class connectivity options. The FAS8000 provides an enterprise storage solution that enables a high return on investment and accelerates resource-intensive applications with hybrid flash arrays that give more than 2.6M IOPs of flash-integrated, low-latency performance. • New pricing structure to highlight the value of NetApp differentiated operating system. We’re recording an episode of the NetApp Communities Podcast today with the TMEs from the FAS team, and will get that up for you ASAP.